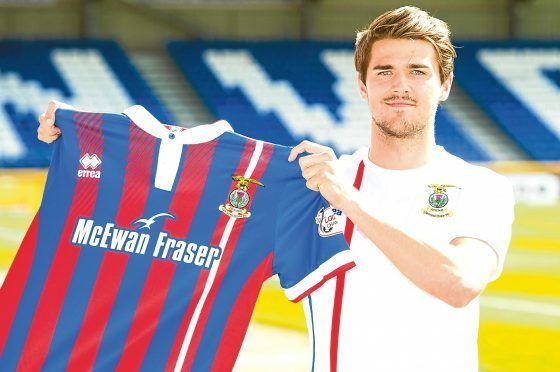 Caley Thistle have signed Canada international midfielder Charlie Trafford in time for tomorrow’s Championship home fixture against Morton. Trafford, who has most recently been playing for Finnish side RoPS, has agreed a three-year contract with John Robertson’s men after the Highlanders settled a compensation package with the Rovaniemi-based club. The 25-year-old, who has three caps for Canada and has also played in Poland, joined his new team-mates in training yesterday. The manager said: “We have been targeting him for a while. He is a big, strong central midfielder who can pass the ball well. Caley Jags have also taken former Dundee United defender Coll Donaldson on trial, with the Edinburgh-born player featuring in Tuesday’s 3-0 friendly victory against Nairn County at Station Park. While Robertson tries to build a squad, the future of the club’s board of directors remains uncertain. Graham Rae, who will replace Willie Finlayson as chairman at the end of the month, and the remaining directors have welcomed the involvement of former chairman Alan Savage and Dougie MacGilvray and the latter’s son Iain after the trio bought a 19% stake in the club from Highland Hospice. Savage and McGilvray want representation on the board by nominating two directors and Rae is keen to work with the trio. A club spokesman said: “The board of the club is committed to improving communications and collaboration with our supporters, implementing a sustainable business plan, strengthening leadership, governance and transparency, and optimising resources for football.